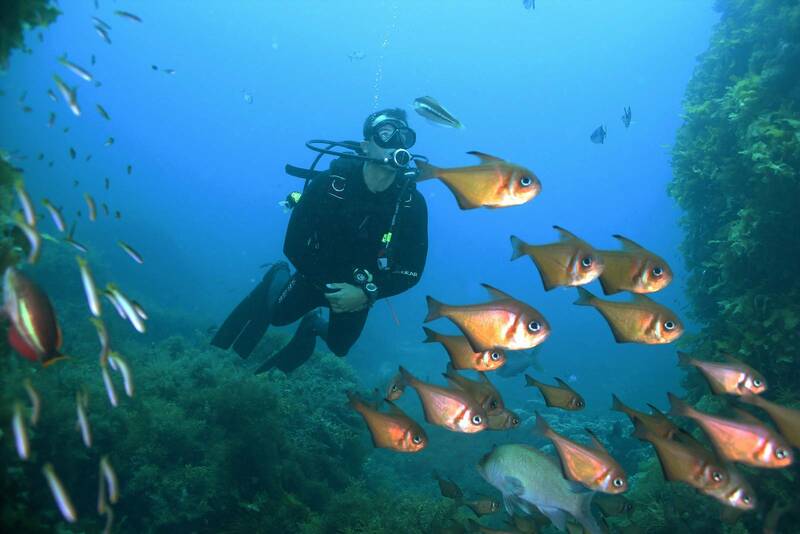 Learn how to dive in 2 and half days with Perth Ocean diving: Start the level 1 Padi Open water diver course. Certification recognized worldwide to go diving up to 18 metres deep. Instructive, fun, and popular! Our level 1 open water diver program is managed on small groups (2 to 6 people) for more attention and safety. Absolutely not, if you respect the rules. That is why you can not dive without a professional with you without a certification. Out of more than 500 species of sharks recorded in the world, less than 10 are known to possibly attack humans; they are deep water sharks that usually do not go to shallow water we dive in for our course. I started my level 1 open water course in another dive center but have not had time to finish it. 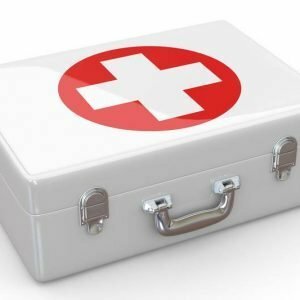 Should I start the whole thing again in order to have my certification? No! If you started a PADI Open Water or PADI Scuba diver program, you will be able to finish it with Perth Ocean: You just have to give us your referral form (Document PADI number 10056F-V308) completed and signed by your previous instructor. For safety reasons Perth Ocean do not allow you to take photo until the last dive. But on the dive number 4 of your course you can take as many pictures as you like! 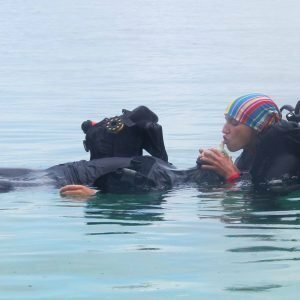 Can I fail the level 1 open water diver and not obtain my certification? 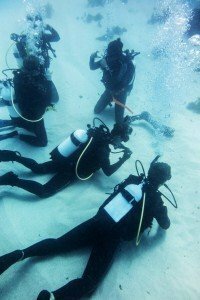 The level 1 open water diver program is very easy if you listen to and follow the instructions, and if you fail an exercise, you can practice and do it again. Regarding the theory, there is several versions, so if you fail version A you can review before trying the version B. Finally, your instructor will never put pressure on you or ask you to do something he/she estimates you are not ready for. It happens that we need to extend the course (one more day) to let you go at your peace without stressing you. In theses conditions and if you meet the swimming requirement before starting the course, it is very hard to fail your course! 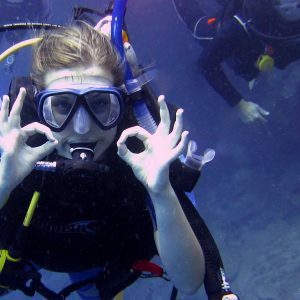 Your PADI Instructor has to follow the PADI program and standards; it will be safety and emergency procedures (such as remove and replace your mask or regulator underwater, and a lot more…), and learning how to set up and get familiarised with your scuba diving equipment, buoyancy skills and compass. The below listed prices are all included (with all equipment, theory supports such as books, a PADI experienced instructor, and all other costs).